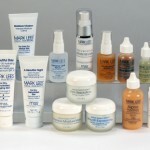 The below full-size product packages are designed for the skin therapist to try and understand our product systems. They are highly discounted and are available for one-time purchases only! Our “power tools” for mild to moderate acne and oily skin treatment. These products can easily be used or integrated with other products in the signature line. this highly-tested collection includes some our most high-tech products for making skin look smoother and younger. Our line of products for ultra-sensitive skin has extensively dermatologist-tested. This fragrance-free system includes soothing ingredients to calm redness and restore moisture. Experience our best-selling non-clogging products in our line for combination and clog-prone skin.